Item number Sf479 from the MOA: University of British Columbia. 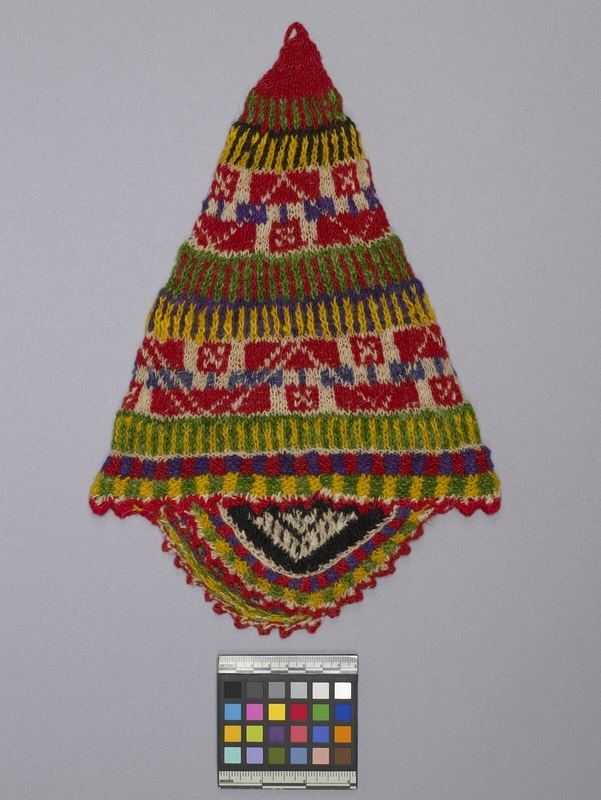 Knitted, wool hat, conical in shape with two triangular earflaps. 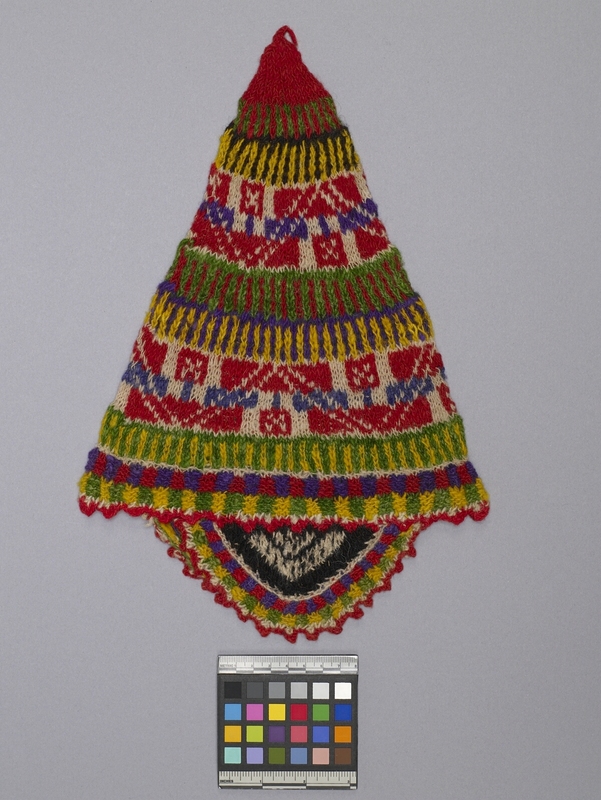 The body of the hat is detailed with a geometric patterns of stripes, checkers and rectangles in pink, orange, green, purple, blue and white. Purchased in Cuzco, June 1978, from the Indian market. Hat was made in Ccatcca, a town southeast of Cuzco.